We love kitchen gadgets. We have lots of kitchen gadgets and utensils. So why do we always find ourselves cooking with a small fork? 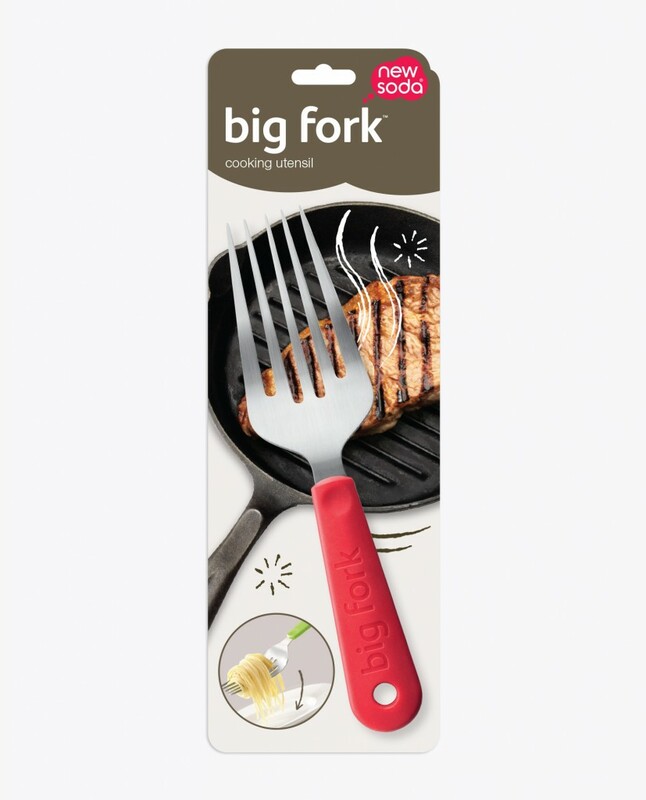 big fork™ is an 11 inch giant cooking and serving fork perfect for use as a turner, but with just-sharp-enough ‘prongs’ to grab and flip steaks, turn roasts and generally move stuff around when cooking. Buy two and you have the perfect salad servers or roast meat lifters. They look great at the table for serving from platters or buffers and we are yet to find a better way of removing a baked potato from the oven or serving spaghetti. 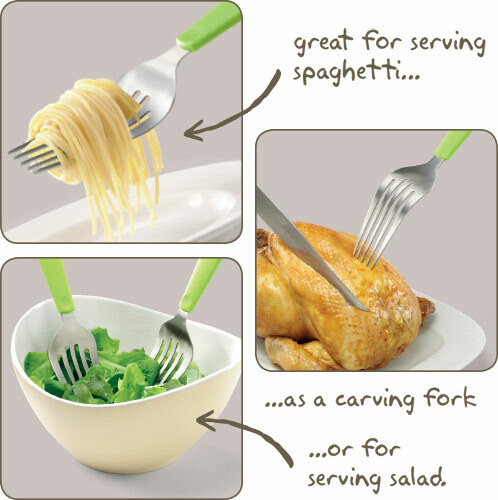 big fork™ is perfectly balanced; it has a full stainless steel ‘tang’ that extends all the way into the handle. We defy anyone to walk past without picking it up. Buy two and you have the perfect salad servers or roast meat lifters. They look great at the table for serving from platters or buffers and we are yet to find a better way or removing a baked potato from the over or serving spaghetti.